When I was much younger there were numerous TV programs about man and nature. For example, who could forget George of the Jungle, Wild Kingdom or even Grizzly Adams. 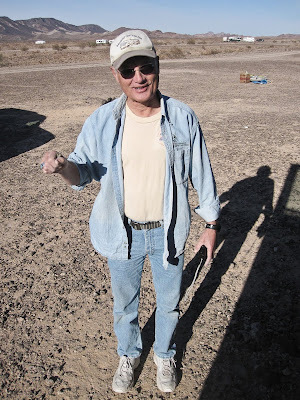 Well sit back and listen to the tale of Bob of the Desert. 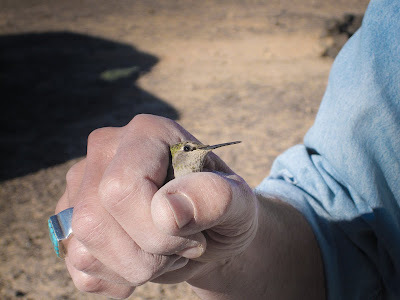 This man tamed the ferocious desert burro, and if that wasn't enough, captured with his bare hands the elusive hummingbird. I know.... it's hard to believe but I was there, I saw it with my own eyes, and most importantly I captured it on film......wait, that doesn't work any more, I captured it on compact flash and SD cards. 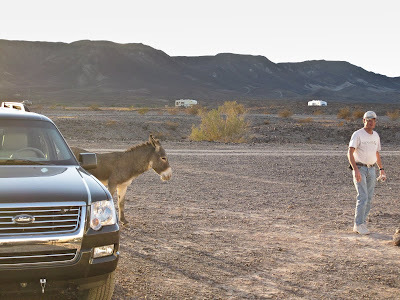 Our story begins on Sunday afternoon when we noticed 9 to 10 burros checking out our camp site. 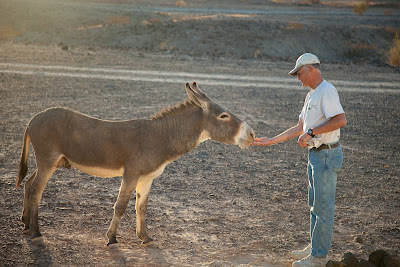 then he even fed it a carrot out of his bare hand. We were all in awe. 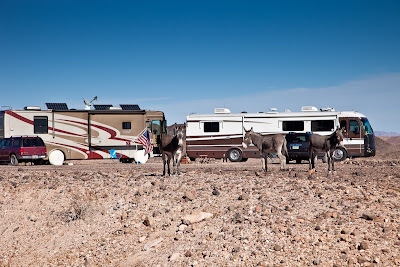 As if that wasn't enough, the next morning a hummingbird flew into Bob and Linda's RV. Again with no thought to the danger he was in, he quickly with compassion and care, captured the hummingbird and set it free. 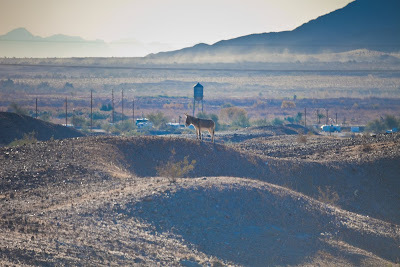 Later that morning as I was pondering all that I had witnessed, I looked off towards the east, and there it was, the burro that Bob had tamed. Standing tall and proud, it must have wondered...."who is this Bob and why was he here?". I have also pondered Bob since he is my brother-in-law. If you figure him out let us all in on it. Great blog post. Loved the blog post! I have followed Bob and Linda's blog since they started full timing, and Bob and his writings are the main reason we are now full timers. 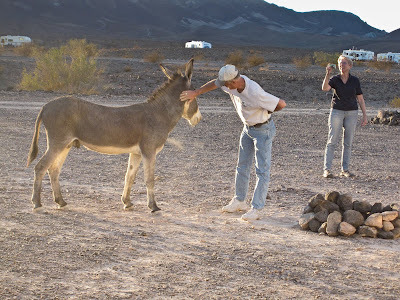 Not only can he tame burros and rescue hummingbirds, he rescued two stressed-out Indiana people and set them off on the time of their lives!